The This Can Happen conference was held in London’s O2 on 20th November 2018, with 120 companies in attendance, including Memiah Ltd. The conference was founded by Jonny Benjamin and Neil Laybourn alongside Zoe Sinclair. 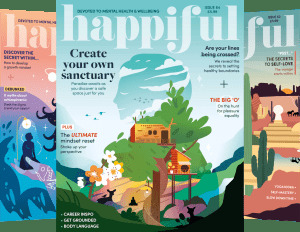 Jonny and Neil are positive mental health advocates themselves and also previous cover stars for Happiful, the only magazine dedicated solely to mental health in the UK. The goal of the event was to discuss employees’ mental health and share solutions that could help staff. What’s more, the speakers aim to spread awareness so that employers can use the new ideas and thoughts they discuss to support employees back at their companies. “I worked several times on some very traumatic jobs involving children. After I had my own children I think the relation between the job and the personal life what really took me over the edge. HRH stated that the RAF and East Anglian air ambulance promoted good mental health practices and talking about it with his colleagues helped him feel supported. Other discussions touched on a range of topics from men and mental health, mental health in BAME and LGBT community, technology and mental health and also personal vs employer responsibility. Speakers also included Victoria Milligan who shared her personal story of losing her husband, daughter and leg in a boat accident. Her inspirational story focused on her experiences of mental health during this time and how she survived. The final take away from the event was that the law needs to change to reflect our needs. After all, everyone needs to feel safe and cared for at work. To find out more about This Can Happen events and Jonny and Neil, visit the official website.